You can buy them directly from us online, or by using the in-store order point in one of our retail stores. 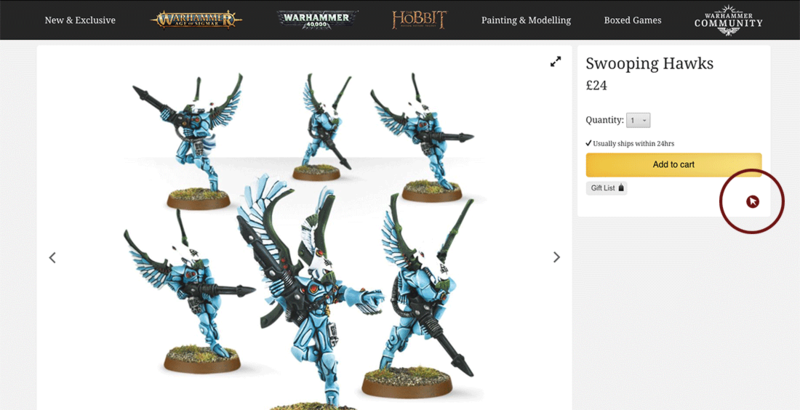 The independent retailers listed in the GW Store Finder also have access to these products through the Games Workshop Webstore. Bitz - Conversion packs including shoulder pads, extra spikes for your Chaos Land Raider, weapon upgrades and loads of extra little bitz to help you create an army unique to you. 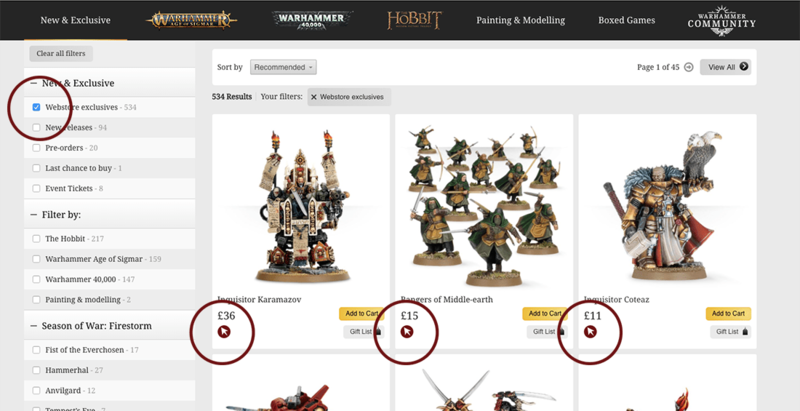 The Games Workshop Webstore makes it easy for you to navigate our huge range to find miniatures that inspire you. Simply tick the “Webstore Exclusives” option in the “New & Exclusive" tab as shown below and your screen will be filled with glorious products you can’t get anywhere else. This red seal (also shown above) will only ever appear on products that are Webstore Exclusive. We also include a Webstore Exclusive label on product pages (see below).